Successfully saved Crockpot Cabbage Roll Soup to your Calendar. You can also save the ingredients to your Grocery List. 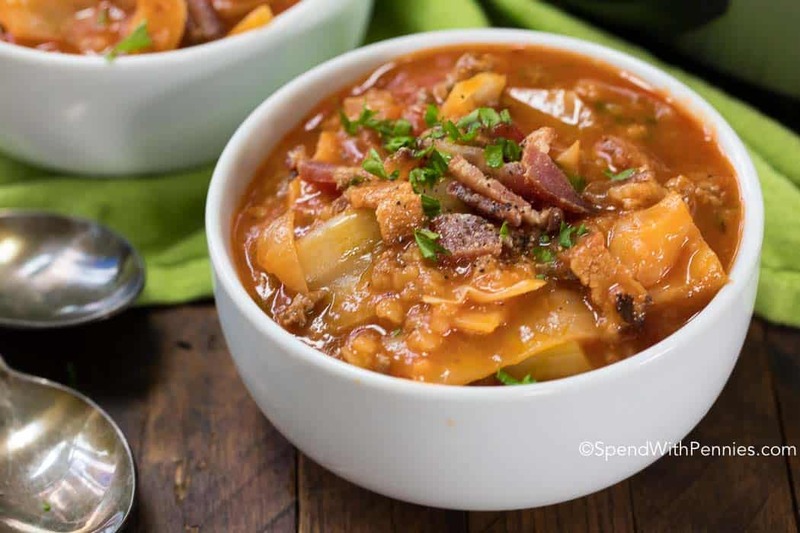 Cabbage, onion, beef and bacon all tenderly prepared in a rich beef and tomato broth, slowly simmered in your crock pot. This creates a nutritious and tasty soup that will warm your belly from the inside out! Vegetable soup for losing weight.